Bethany House Publishers, 9780764231735, 384pp. In Dee Henderson's novella "Betrayed," Janelle Roberts is freed--thanks to people she doesn't know--after serving six years of a twenty-year sentence for a murder she did not commit. But a murderer is still at large, and Janelle needs to be somewhere safe with someone she can trust. She may not survive another betrayal. Dee Henderson is the bestselling, award-winning author of the acclaimed O'Malley series, the Uncommon Heroes series, and the New York Times bestselling Full Disclosure. She is a lifelong resident of Illinois. Visit her at www.deehenderson.com. Dani Pettrey is the award-winning author of the acclaimed Alaskan Courage and Chesapeake Valor series. She lives in Maryland. Visit her at www.danipettrey.com. 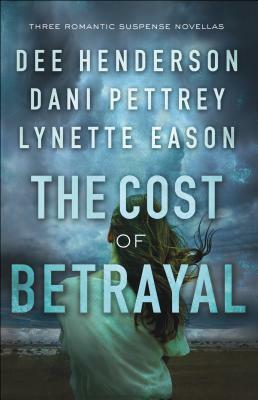 Lynette Eason is the bestselling author of the Women of Justice series and the Deadly Reunions series, as well as the Hidden Identity series. She lives in South Carolina. Learn more at www.lynetteeason.com.